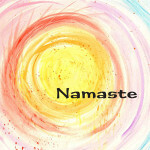 Enjoy the strength, flexibility, and inner calm that comes from practicing Yoga Sun Salutation. 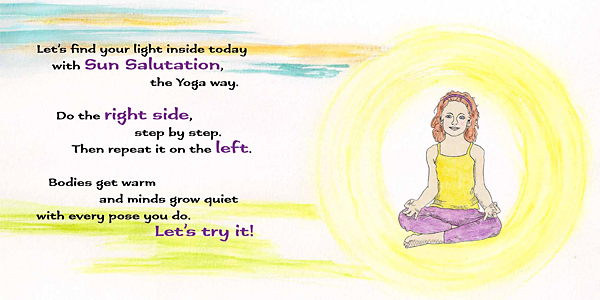 Each pose in this classic Yoga sequence is presented in fun, easy-to-understand verse with helpful illustrations and beautiful paintings. 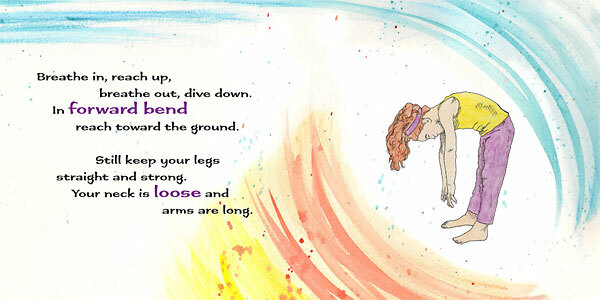 While written with 3- to 10-year-olds in mind, this book is truly fun for all ages. 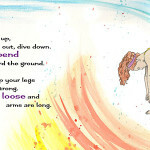 After several readings, grown-ups and kids alike will start to memorize the words, thereby internalizing the sequence, and uniting the words and movements. 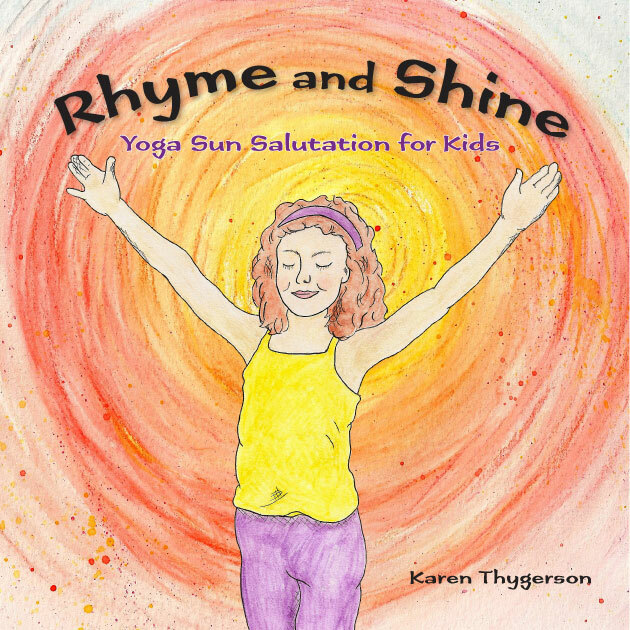 Whether you are a parent, yoga instructor, or someone who works with children, this book will be a valuable addition to your library. 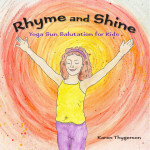 Karen Thygerson is a mother, fitness instructor, and yoga enthusiast. 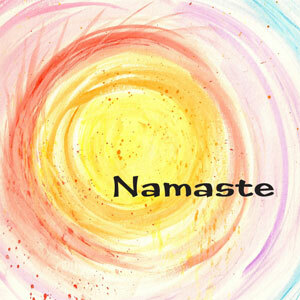 After teaching dance and aerobics all her life, she began teaching yoga to her daughter’s kindergarten class, and continues to enjoy a weekly practice with her daughter’s class. When she’s not busy volunteering at her kids’ schools, Karen enjoys playing her ukulele, tap dancing, and experimenting with new ways to sneak vegetables into family dinners. Karen lives in San Diego with her husband and their two children.